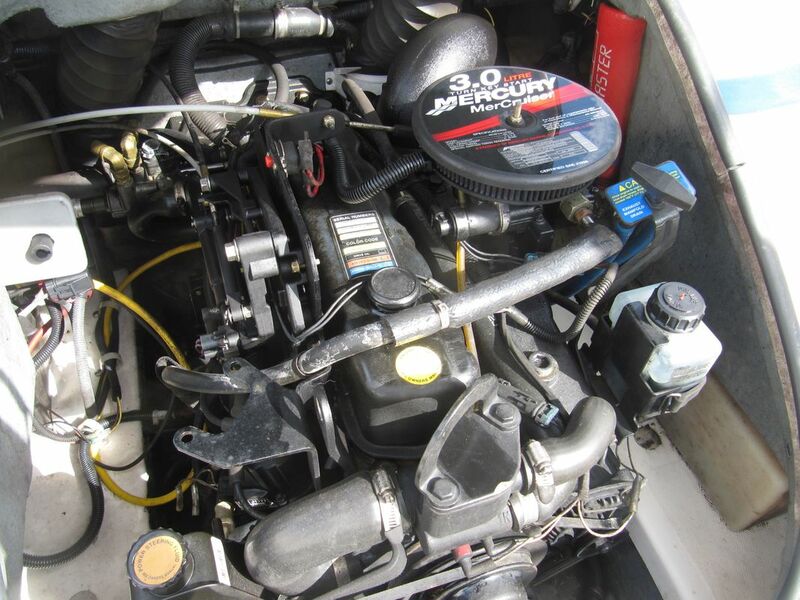 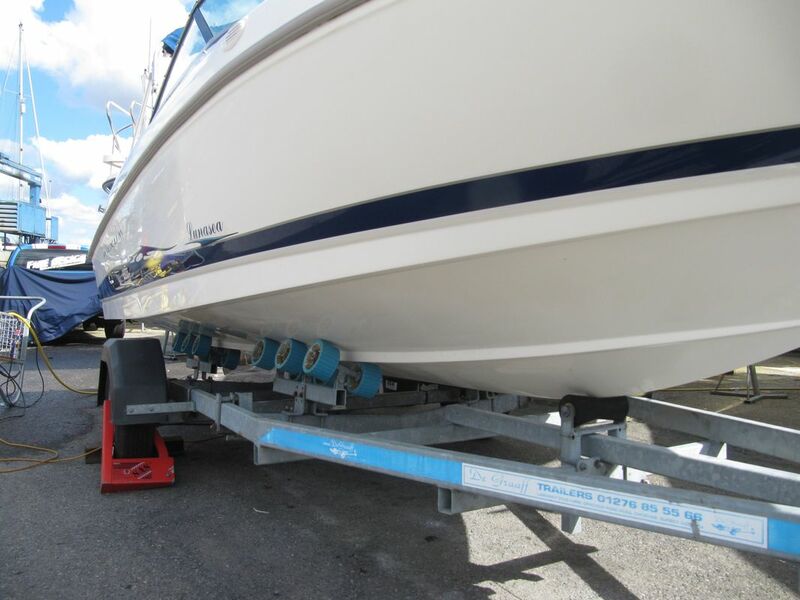 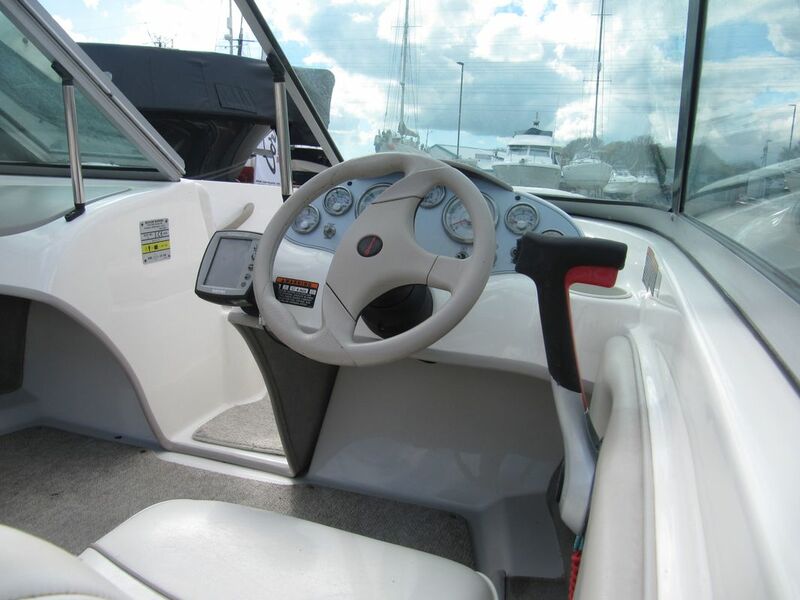 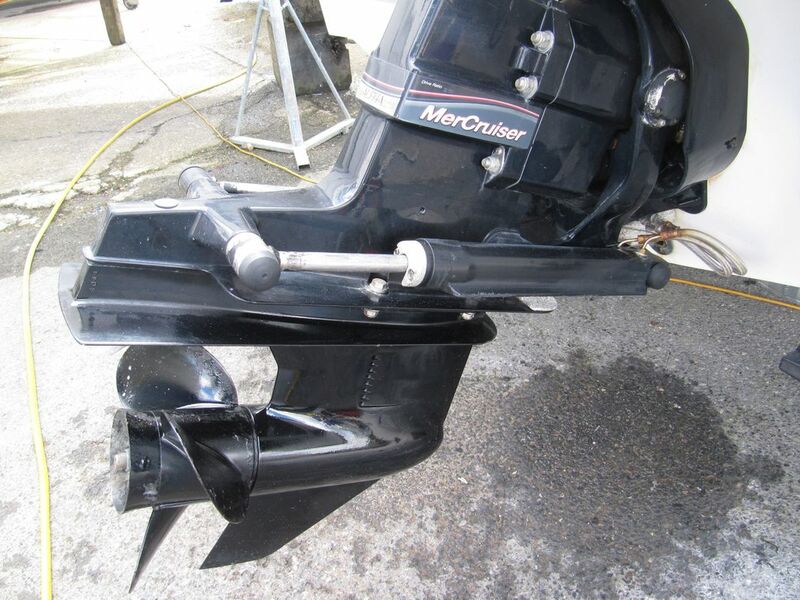 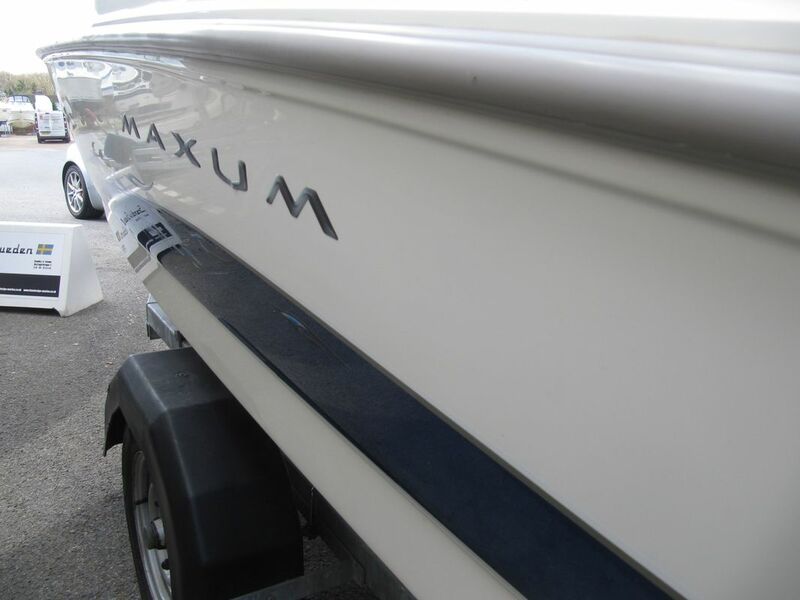 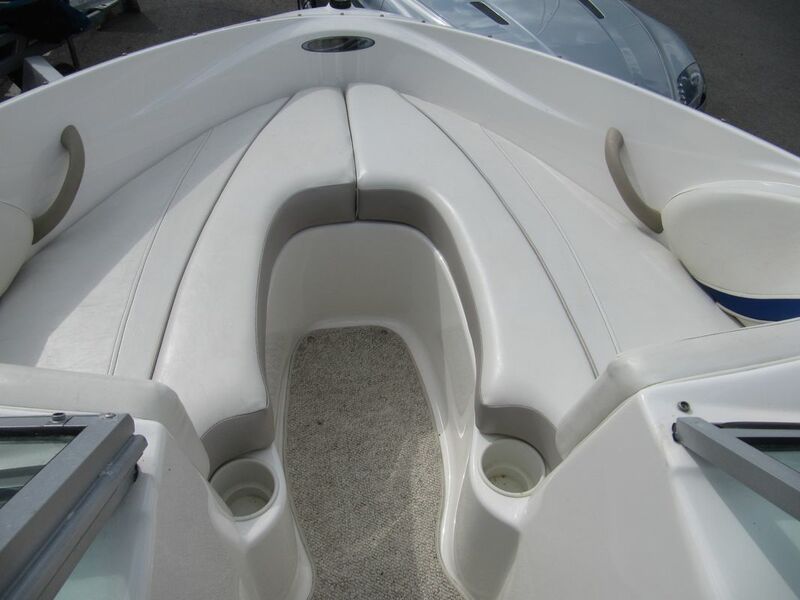 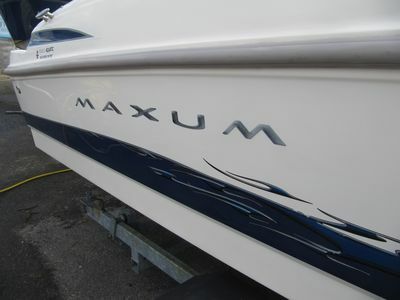 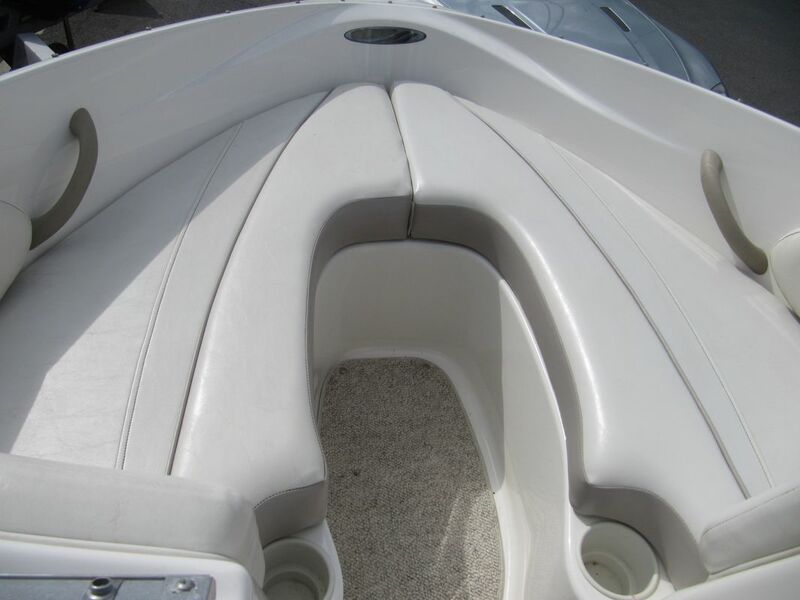 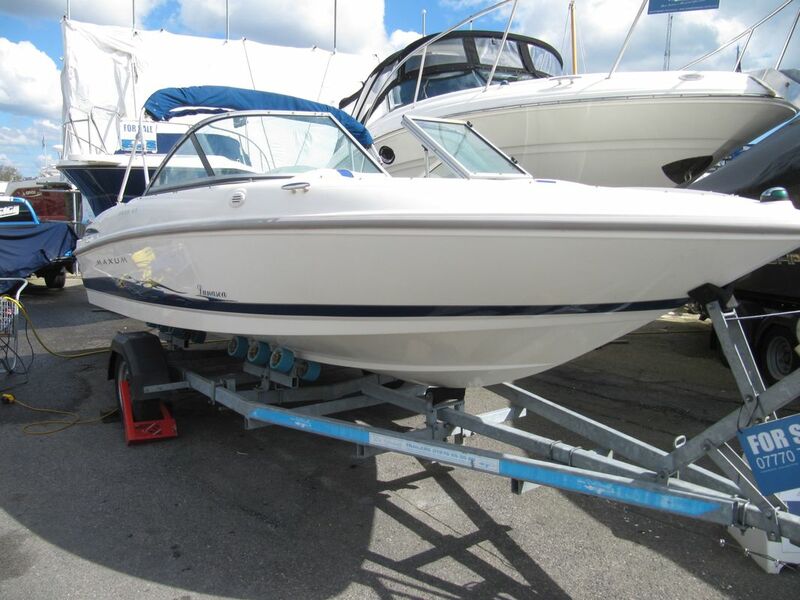 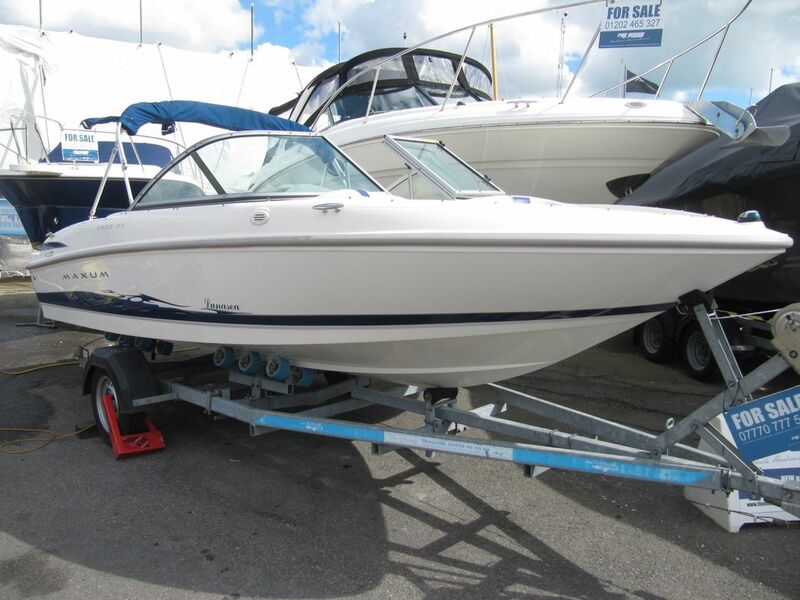 Well presented 2005 Maxum 1800MX Bow Rider, powered by a Mercruiser 3.0L 135HP sterndrive (top speed approx.43 mph, dependent on loading and sea state)﻿﻿, engine just serviced April 2017. The perfect family ski / day boat. 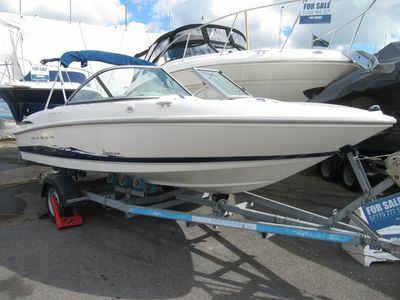 This boat has been dry stored since new, never anti-fouled, hull in great condition. 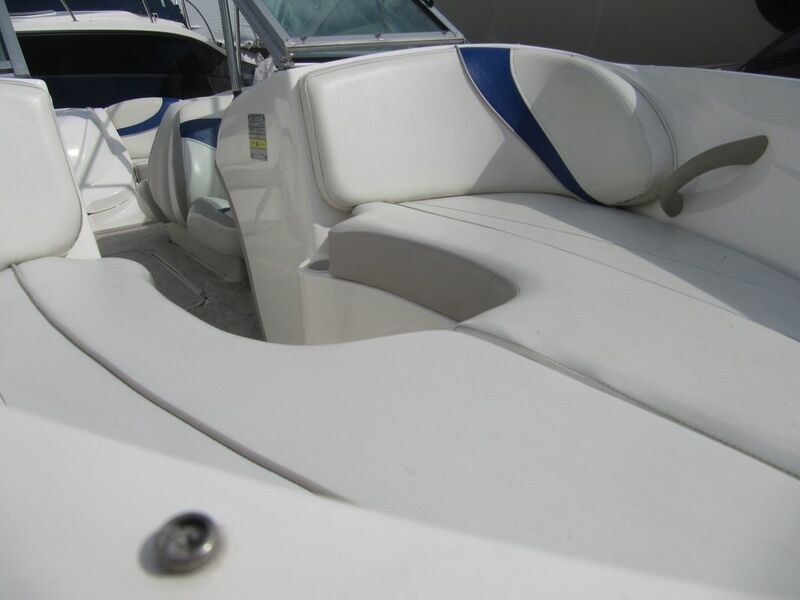 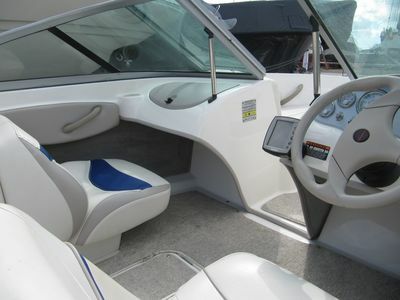 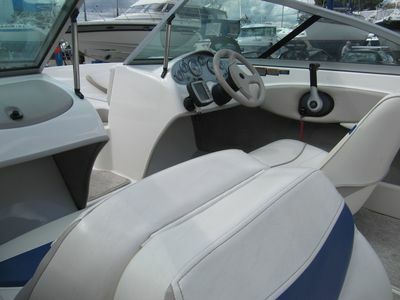 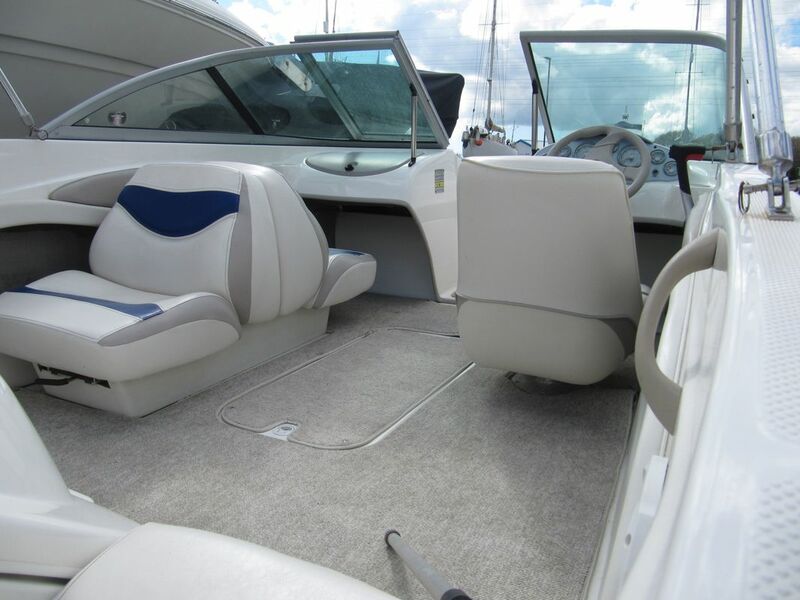 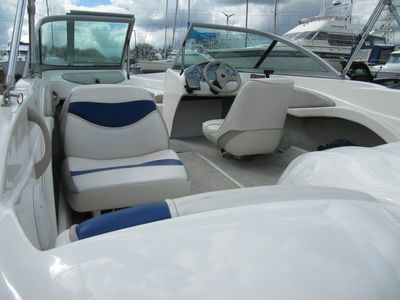 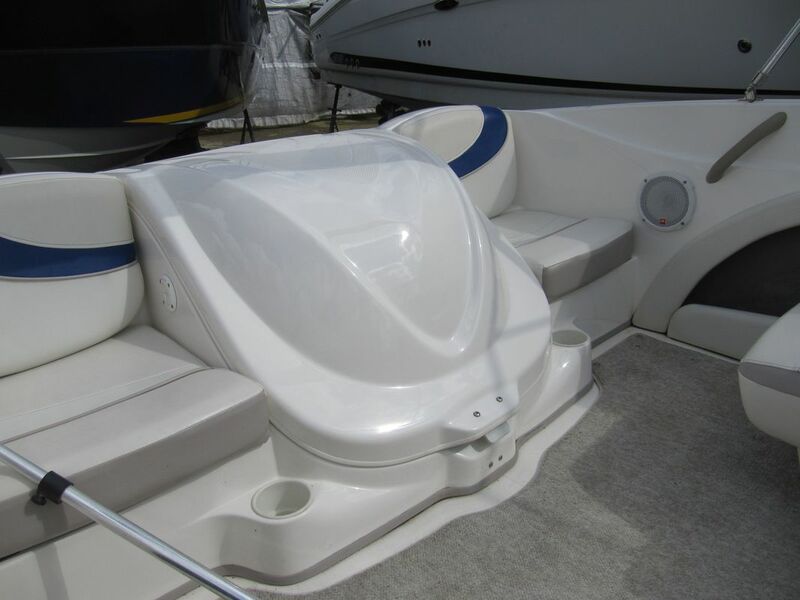 Featuring blue hull graphics and upholstery accents, snap in carpet, convertible sun lounger, bow rider seats, helmsman seat. 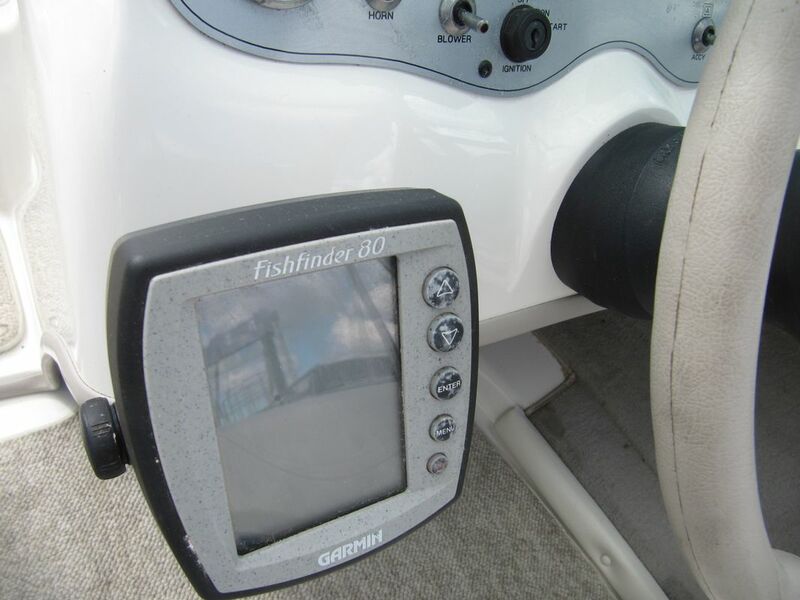 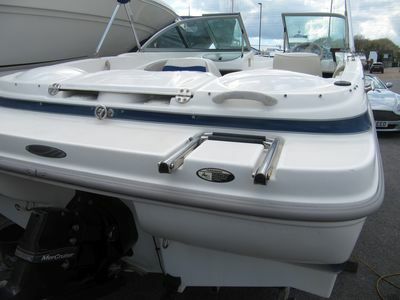 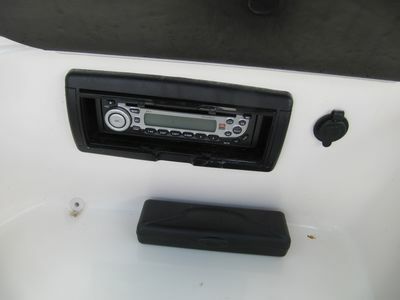 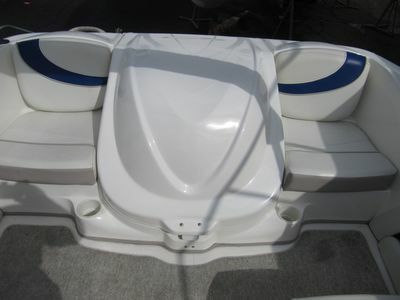 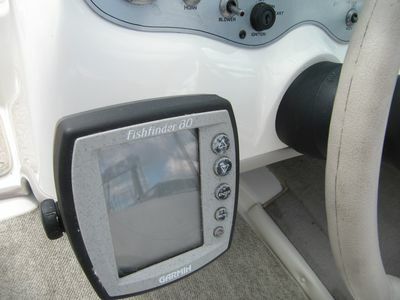 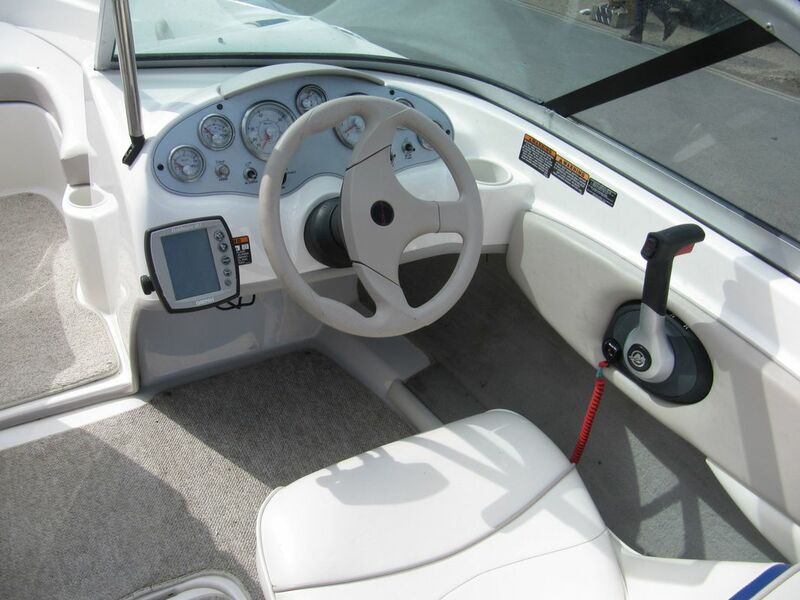 Water ski tow eye and locker, JBL stereo system, Garmin fish finder, full set of engine management gauges plus depth sounder. 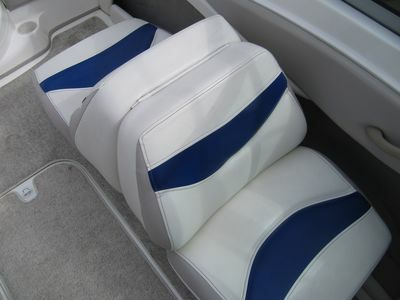 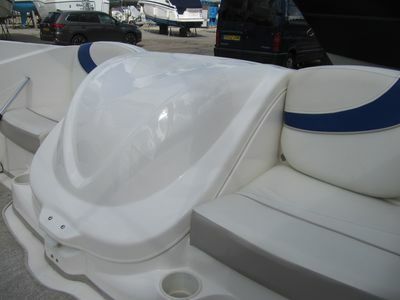 Bimini top and canopy covers. 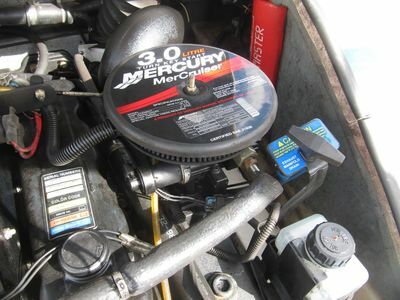 Fuel Capacity 18 US gal.